1. Relay Teams will consist of two or three members (except in the Iron Person, Tandem Kayak Division and tandem canoes in the Open Canoe Division). One team member will run, one will bicycle, and one will paddle (two of the four members of the Tandem Kayak or Tandem Canoes in the Open Canoe Division teams will paddle). With a two-member team, one member does at least two legs of the race. (In the Iron Person divisions, one individual will do all three) Team members will pass an official ankle band to teammates as the relay progresses. The winning team will be the team or Iron Man/Woman whose paddler crosses the finish line, in the chute, first in their division. The team member crossing the finish line must have the velcro ankle band with timing chip. Team members other than the paddler must not cross the finish line. Only one paddler from tandem boats may cross the finish line. The other paddler will stay with the boat and assist in placing it in the boat storage area. Iron Persons must wear the velcro band with timing chip the entire race. The velcro band must be at ankle height when passing over timing mats or no time will be recorded and that team or Iron Person will not be eligible for awards or receive a time for the race. 2. An overtaking competitor has the right-of-way. Impeding the progress of another individual who is passing is grounds for disqualification. Drafting of another bicycle or boat is allowed. Drafting of non-competitors is grounds for disqualification. 3. A competitor MUST assist another competitor who has until he or she reaches safety. 4. Racing numbers must be worn and visible on the outside of clothing and competitors’ P.F.D. (lifejacket), on the front or downstream side of the participant. Runners must wear numbers on front. 5. Hard-shell helmets are required for all competitors who bicycle and/or paddle. Helmets shall be fastened in a secure manner and worn while competing. The same helmet may be worn by cyclist and paddler. The helmet worn by a cyclist shall be of a type specifically designed and intended for use by cyclists, and certified as meeting or exceeding the test standards established by Snell Laboratories, ASTM, and/or ANSI. Failure to wear the required headgear at all times while bicycling or boating in Eppie’s Great Race® shall result in disqualification of the cyclist or boater and his or her team. It shall be the responsibility of each cyclist and boater, not the organizers, staff or sponsors of Eppie’s Great Race®, to inspect his or her protective headgear to determine if it complies with this rule. 6. No competitor may be assisted by another competitor or spectator with equipment or water removal, except in the Epic Challenge division. 7. Competitors may enter only one team or ironperson division. 8. All competitors who quit the race for any reason before the finish line must report to an Eppie’s Great Race® official as soon as possible after they stop competing in the race. 9. Protests: All protests must be in writing and filed within 30 minutes of the protester’s team crossing the finish line. The written protests must be made on a form provided by Eppie’s Great Race® management. Protests can be logged at race headquarters in case of any violation of the Competition Rules. An arbitration committee will meet before the Awards Ceremony in order to provide a final ruling on all protests and disqualifications made by course officials. A $10 non-refundable fee will be charged to file a protest. If a protest is filed regarding a boat used in the race, the boat in question and the protesters boat will both be examined by the Watercraft Advisory Committee. 10. The Relay: Runners wearing the velcro ankle band with timing chip will start the competition. A road race start will be used. Runners should seed themselves according to their estimated running pace. Runners will proceed along the official running course to the bike staging area located at the bike trail near the Guy West Bridge. The runner must have the ankle band with timing chip on when crossing the timing mat at the run-bike transition area. The runner will enter the bicycle staging area from the levee side and will pass the official wristband to the cyclist teammate in the area designated for their division. The cyclist will proceed along the official bike course to the Sunrise Avenue Footbridge. The cyclist will dismount and cross the timing mat with ankle band with timing chip and proceed onto the bridge. The runner will pass the ankle band with timing chip to the paddler teammate who will be waiting on the bridge. When the paddler teammate receives the ankle band, the paddler will cross the footbridge to his/her boat. One paddler on a tandem team will wait on the bridge with the other paddler waiting near the boats on the beach. Paddlers will proceed down the river to the finish area and exit the boat at the designated take-out area. All paddlers (except only one paddler on tandem boats) will then run through the finish chute. The paddler crossing the finish line must pass over both timing mats and into the finish shoot with the ankle band with chip. Runners and cyclists must stay on the official course. Making use of short cuts or transferring the official ankle-band in other than designated areas at the run/hike or bike/boat transition areas are grounds for disqualification. 1. The time will be the total time it takes the team or lronperson to complete the entire course and cross the finish line. 2. The route will be monitored and any competitor who does not adhere to the rules of the race will be disqualified. 3. A race competitor shall not, during participation in the race, push, tow, or carry any device for the transport of another person, animal and/or equipment. Such devices include but are not limited to: bicycle trailers, strollers, infant carriers and towed boats. 4. Only registered race competitors and registered guides for legally blind race competitors shall participate in the race. No other persons and/or animals may accompany a competitor. 5. All members of a Junior team must be 18 years or younger on the day of the race. 8. Earbuds, ear phones or any other device which might interfere with hearing are prohibited while participating in Eppie’sGreat Race®. 11. Competitors who bike must leave the bridge at the exchange point as soon as possible and not interfere with any other competitor who is trying to find his or her paddler teammate. 12. Ironpersons must have a crew to retrieve the bike. Members of the crew may only retrieve the bicycle from the bicycle storage area and must not otherwise assist the competitor at the exchange point. 13. A tandem bicycle, recumbent bicycle, or a tricycle shall not be used by a race competitor. Only bicycles ridden by one (1) person will be allowed in the bicycle portion of the race. NOTE: A legally blind cyclist and a sighted cyclist shall ride a two-seater tandem bicycle. The sighted guide shall sit in the front seat to peddle and steer the bicycle. Tandem bicycles will not be allowed except for those persons who are legally blind or have such visual impairment that they are unable to safely ride a one-person bicycle. • The saddle support shall be horizontal and be positioned above the bottom bracket (cranks). The length of the saddle shall be between 24 cm and 27.5 cm maximum. • The peak of the saddle shall be a minimum of 5 cm to the rear of a vertical plane passing through the bottom bracket spindle. In no circumstances shall the peak of the saddle extend in front of the vertical line passing through the bottom bracket. • The distance between the lower bracket (crank axle) and the ground shall be between 24 cm minimum and 30 cm maximum. • A vertical line touching the front most point of the saddle may be no more than 5 centimeters in front of and no more than 15 centimeters behind a vertical line passing through the center of the chain wheel axle. The cyclist must not have the capability of adjusting the saddle beyond these limits during competition. • The cranks shall not be located in front of the front wheel axle or the steering mechanism. • Rider’s position on the bike shall not allow the rider to lay on their back or chest/abdomen. • There shall be no protective shield, fairing, or other device on any part of the bicycle, which has the effect of reducing air resistance except that spoke covers may be used. 1. The boat number provided in the registration packet must be affixed to the left front of the boat prior to being placed on the beach to ensure the boat is placed in the proper place on the beach and for accurate timing. 2. Paddles must be stored in the boat and not kept in possession of the paddler while on the bridge/transition area. 3. Boat flotation: The type of buoyancy shall be at the discretion of the competitor but must be adequate to float the boat horizontally when it is filled with water. Air bags may be used. 4. Any competitor, when operating a boat, shall wear a U. S. Coast Guard approved Personal Flotation Device (P.F.D.). Inflatable P.F.D.s are banned. Failure to comply with these requirements is grounds for disqualification. 5. Canoe paddles: Any number of single-bladed paddles of any material and size or shape may be in the canoe. A competitor may use only one paddle at a time in canoes. Double-bladed paddles are not permitted. In the event a paddle is broken, a competitor may finish with another paddle. 7. The paddler (bow paddler only in the Tandem Kayak and Open Canoe divisions must cross the finish line on foot and present the official ankle band to the official helper. Numbered sticks will be used to compile results from finish times and sequential position. Please cooperate to make this system work efficiently. Competitors without an official ankle band will be disqualified. 8. All paddlers must wear shoes. 9. Leashes are not allowed on watercraft or paddles. 10. Stand Up Paddle Boards are allowed in the 45th Annual Eppie’s Great Race® 2018. 11. Watercraft may be powered only by hand held paddles. Teams or Ironpersons using boats not meeting the specifications for their divisions will not qualify for awards. However, they will be eligible for free Meal Voucher if they better the mark set by Eppie’s Great Team. 1. Open Canoe Division: Teams may use either a tandem canoe or a solo canoe. Teams with a tandem canoe will have a maximum of 4 team members (2 paddlers each using a single bladed canoe paddle. The four-person relay is for people who have a tandem kayak. One person runs, the next rides, and the last two paddle the kayak.) and teams with a solo canoe will have a maximum of 3 team members (1 paddler using one single-bladed canoe paddle). Any solo or tandem canoe will be eligible except those having skegs, rudders or outriggers which are not allowed on any boat in the Open Canoe Division. 2. In the following Divisions: Corporate; Coed; Open; Family; Women’s; Men 40+; Women 40+; Men 50+; Women 50+; Men 60+ (Men & Coed); Women 60+; Public Service Cup; Epic Challenge; Junior; Tandem Kayak; and all Ironperson divisions, competitors may use any paddle-powered kayak, canoe or standup paddle board having sufficient flotation to float in horizontal position when filled with water. There is no minimum width or maximum length requirement. Oars, oarlocks and outriggers are not allowed. Examples of eligible boats are flat water (sprint) canoes and kayaks, surf-skis, ocean kayaks, marathon canoes and pro-boats, downriver kayaks, slalom kayaks, touring kayaks, sit-on-top kayaks and inflatables. Only one paddler is allowed, except tandem kayak which allows two paddlers. 3. Sit-On-Top Kayak Division: Has been discontinued for starting in 2016. While they no longer have their own division, Sit-On-Top Kayaks are eligible to enter our other divisions. 1. The use of a watercraft which does not meet the requirements for the division in which the participant is entered. 2. Intentionally leaving the course to obtain a shorter distance advantage. 3. Intentionally interfering with another racer to obtain or confer an advantage. 4. Competing without a helmet on the bicycle or river portion of the course. 5. Cyclists riding on the course to return from the bike dismount area toward River Bend Park or taking a bicycle across the Lower Sunrise Pedestrian Bridge prior to course official’s signal that the course is open. 6. Competing without an approved P.F.D. (personal floatation device) during the watercraft portion of the race. 7. Drafting off non-competitors during the race. 8. Cyclists leaving the designated area for their divisions at the Run-Bike transition area prior to receiving the velcro ankle band with timing chip from their runners. Runners entering the Run-Bike transition area from the bicycle trail side of the transition area rather than designated dirt path on the levee side of bicycle staging area. 10. Any other failure to obey the course officials and/or Competition Rules. 1. Epic Challenge Division: a) At least one (1) competitor on an Epic Challenge Division team shall be a person with a disability (e.g. physical, visual, or developmental). b) Guides will be allowed, if desired, on the running portion of the race, c) Legally blind runners are required to have guides. On the bicycle portion of the race, legally blind competitors must comply with Rule 3. in II. Bicycle Rules above, and it’s Note. d) The watercraft launch area for the Epic Challenge Division shall be on the south bank of the river downstream of the Lower Sunrise Pedestrian Bridge. e) Start Time: All Epic Challenge Division runners and guides shall start two minutes before Team and Ironperson Divisions, at 7:58 a.m. f) Paddling Portion: The legally blind paddler and the sighted guide (paddler) shall participate in a two-person watercraft with the sighted guide steering. g) push rim and hand crank wheelchairs are eligible. h) all participants must be able to self-rescue in the event that their watercraft capsizes. 2. Corporate Division: To participate in the Corporate Division, a team must be sponsored by a business paying a Corporate Division entry fee. All of the team members must be employees of the same company. An employee of a corporation shall not be employed by a subcontractor of the corporation or a material vendor of the corporation. An employee shall either be a bona fide full-time employee of the company or a bona fide part-time employee who has worked at least 20 hours per week for at least the last three months preceding the race date. 3. Firefighter/Law Enforcement & City Cup Divisions: Have been combined into one Division, now called the “Public Services Cup” open to City and County employees. The request must set forth in detail the exception requested and all facts which support the request. Request must be received no later than July 1st of the race year and must include: requester’s name, email, address and day and evening telephone numbers. All requests will be considered. Eppie’s Great Race® established a policy for managing requests for adding divisions. This process involves the proponent making a financial guarantee that at least 10 entrees will be received prior to the year for which the new division is being established. Any change in Division for Eppie’s Great Race® will be determined by a majority vote of the Eppie’s Great Race® Executive Committee. Generally such proposals and decisions will be made during the fall season while changes to race rules are being considered. For new divisions, proponents will be expected to provide a written justification and a check for $500 as an assurance that at least 10 entries will be entered in the coming year’s race. The $500 will be fully refundable if there are 10 entries in the new Division, but no part will be refunded until 10 entries are received. The Executive Committee will be briefed on the feasibility of the implementation of the request by the Eppie’s Great Race® Director. The Director will include in his briefing the advice of the Watercraft Advisory Committee. What is the demand for this Division? Will this Division likely result in new participants in the race rather than just transferring participants from an existing Division or will it solve an existing problem with current Divisions? Will this Division result in increased revenue? Is it feasible to implement the new Division without undue logistical difficulties or safety issues? Is there new equipment that should be accommodated? Divisions historically retained because they are remnants caused by rule changes over the years. This category applies to those person who have visual acuity as defined in the California Vehicle Code 21965, which states: “blind,” “totalIIy blind,” and “partially blind” mean having central visual acuity not to exceed 20/200 in the better eye, with corrected lenses, as measured by the Snellen test, or visual acuity greater than 20/200; but with a limitation in the field of vision such that the widest diameter of the visual field subtends an angle not greater than 20 degrees. 1. RUNNING – A blind, totally blind or partially blind runner shall be accompanied and guided by a sighted runner. 2. CYCLING – A blind, totally blind or partially blind cyclist and a sighted cyclist guide shall ride a two-seater tandem bicycle. The sightecl guide shall sit in the front seat to peddle and steer the bicycle. 3. PADDLING – The blind, totally blind, or partially blind and sighted guide (paddler) shall participate in a two-person authorized watercraft (kayak, canoe, or raft) with the sighted paddler being in the position to maneuver. The watercraft launch area for the blind, totally blind or partially blind participant and his or her guide shall be on the south bank of the river at a designated location downstream of the Lower Sunrise Pedestrian Bridge. 4. The blind, totally blind or partially blind participant and sighted guide for the cycling and paddling portion shall all provide and complete the entry forms for Epie’s Great Race®. Also the blind, totally blind or partially blind participant and guide shall sign the waiver and release form which is on the reverse side of the entry form. The guide shall participate at no charge. 5. No tandem bicycle will be allowed for any participant unless blind, totally blind or partially blind. 6. A blind, totally blind or partially blind participant has the option of wearing identifying emblems such as a bib or vest to indicate they have a vision impairment . Since this is optional, it can be done in any manner the participant and guide choose, including the coloring and wording on whatever type of identification they have chosen. Should the participant choose to wear the identifying emblem, he or she shall provide same. 7. The determination of whether a race applicant is blind, totally bli or partially blind is to be made by that applicant. 8. The same person shall serve as guide in all three portions of the race. 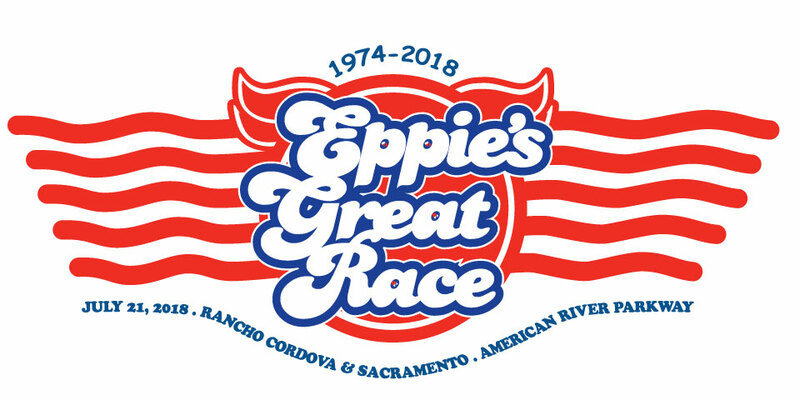 Eppie’s Great Race® prides itself in always leaving the American River Parkway cleaner than it was before the race and it is the responsibility of competitors and their crews to pick up all shoes, clothing, water bottles, trash, etc. left in the transition areas. Eppie’s Great Race® takes no responsibility for any items left anywhere on the course, but does need to remove them to fulfill its responsibility to leave the Parkway clean. At the run/bike transition area we will leave shoes and clothing where the athlete dropped them until approximately 1 pm. Any items left at that time will be taken to Race Headquarters at River Bend Park. Items left on the beach at the boat put in at Sunrise will be put in the sweep boat and brought to Race Headquarters after the last competitor finishes. Lost and found articles will be at the Race Headquarters tent on race day. On the following Monday after the race, please call Sacramento County Regional Parks at (916) 919-3233 or (916) 875-6961. After 30 days, unclaimed items will be donated to a local charity.